With the business world being as competitive as it is you need to differentiate yourself from your competitors and the professional business entrepreneur knows exactly how to do that. As an experienced business entrepreneur today I would like to share some tips with you on how to ensure that you and your business stands out from the crowd. Entrepreneurship can be tough at times, as well as being exciting, but it is very easy for the new business entrepreneur to get sucked into thinking that they have to be like everybody else in order to become successful. Don’t make that mistake because some of the most successful business people soon realised that to achieve ultimate success they needed to be different and had the courage and conviction to take an alternative path. To help you, I have compiled some examples to show you how to go against the crowd to become a successful business entrepreneur. The conventional way is to go to university and get a degree but this doesn’t set you up for being successful in business. You may learn the theory but after you finish your degree you will have no idea on how to implement what you have learnt. Also, too many people go to university because they think they have to or because all of their friends are going and they see no other alternative due to the fact they have no direction in life. The business entrepreneur fully recognizes that education is very important but you need to get the right education that you can take action on. So what they do is actively seek out one-on-one mentoring from people who have a proven track record. It makes sense to take notice from people who can back it up! Also they invest in themselves by self-educating. Buying books from the industry leaders and absorbing the information so that they are fully in control of their own education. The business entrepreneur can spot opportunities that their competitors are overlooking. 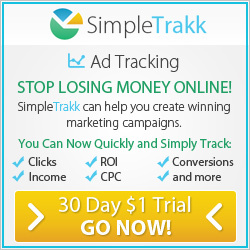 This could be a gap in the market or advertising platforms that no one else is using. There are many resources that you can use to run your business. These can give you the 1% edge over your competition which could result in a dramatic upturn in the performance of your business. So look for new opportunities but realize that you may need to take the odd risk to gain higher rewards. You need to have the courage to take those risks. There is no point in being indecisive and sitting on the fence. When you see an opportunity then you must go for it because if you don’t then you may find that someone else will step into your shoes and make a success from it. This may have already happened to you when you have not had the conviction to act on your gut instincts and someone else has cleaned up. You probably didn’t like that feeling. Don’t let it happen again! This is a whole topic on it’s own but leaders, entrepreneurs visualise their goals, set them and achieve them. 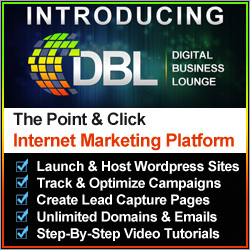 Business entrepreneurs work daily on income producing activities, not exclusively, but as a part of an overall marketing plan they market and generate leads daily. This speaks for itself. It is not all about the money, you must work on yourself and network and Mastermind with other leaders in your industry and niche. Too many people stay in education mode and just do the teaching. Once you have learnt something and implemented it successfully do not be selfish and keep it to yourself. Share it by teaching it to others and the world will be a better place if you do. The Six Figure Mentors & Digital Experts Academy are specialists in training people to become successful within the digital business world we live in. They offer the highest level training and mentoring programs to help you start a profitable online business from scratch. Take a moment to look at the titles of each company. You will be mentored by the industry elite who are all six figure online business owners, and you will be able to take your place in an academy that will teach you everything you need to become a professional digital business expert. Also you will not be saddled with the huge student debts that millions of people have around their shoulders for years in the future. 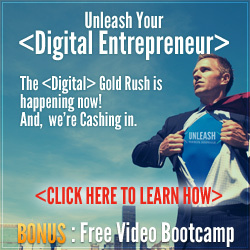 Click on the banner below to find out more about how you can become a digital business entrepreneur starting today. 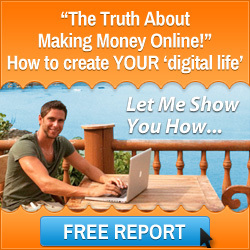 I have helped hundreds of people transition themselves to become a digital business entrepreneur. If you would like to know more about how I can help you then click here. This entry was posted in Personal Development and tagged business entrepreneur, mark ford. Bookmark the permalink.